Milady’s Standard Professional Barbering is the primary resource for Barbering students preparing for their state licensing exam and a successful career in the professional market. It is the only textbook available that offers an integrated set of supplements to enhance the teaching and learning process. This new edition is the most stunning and versatile barbering education tool in the industry. Packed with hundreds of brand new full-color photos and procedures, students will be provided with the latest in infection control, hair replacement technologies, career preparation instruction and step-by-step shaving. 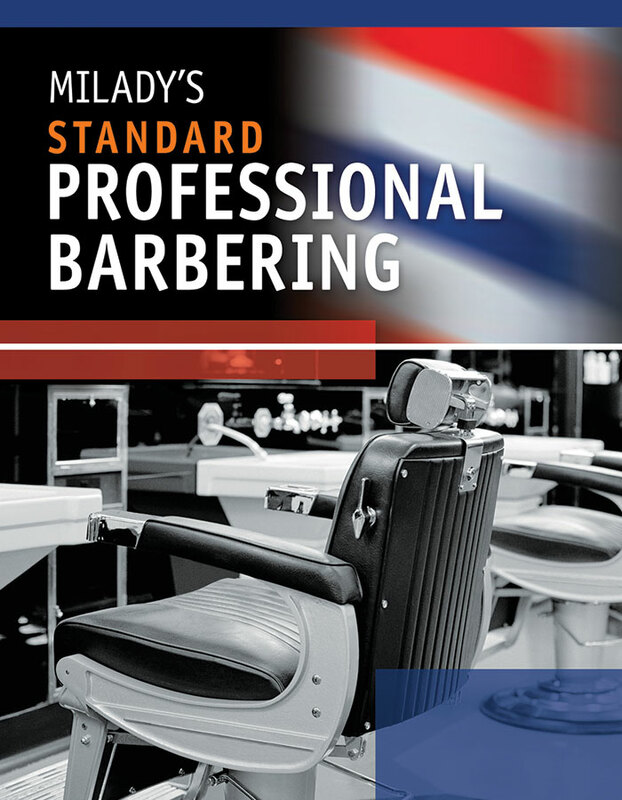 Milady has been the trusted choice of Barbering educators for nearly sixty years and this new edition continues that trend with in-depth and engaging coverage of the most current topics in the profession. Layout design reflecting up-to-date approach to engage student interest and learning. More full color photos added for greater clarity and understanding of procedures, including men’s haircutting and styling and step-by-step shaving photos. Content regarding worker’s classifications and IRS tax information and types of business structures. “Tip from the NABBA” box element provides students with professional insights from state barber board members. The Business of Barbering topic now reorganized to present State Board Preparation and Licensing Laws prior to The Job Search and Barbershop Management section. Updated information on men’s hair replacement, including the latest products and procedures. Chapters presented in a sequential order, building on prior knowledge and learning as each new topic and/or subject is introduced. Full color photos to make the content more appealing to visual learners. Step-by-step procedures to help the student retain and apply information in a quicker fashion. Key Terms and Glossaries with current industry information helps students focus their attention on integral information, assist in their studies and prepare them for the workplace upon receiving their license.